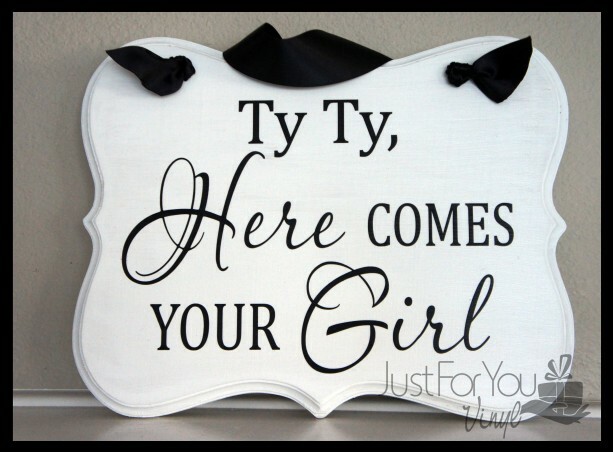 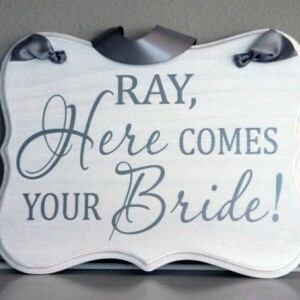 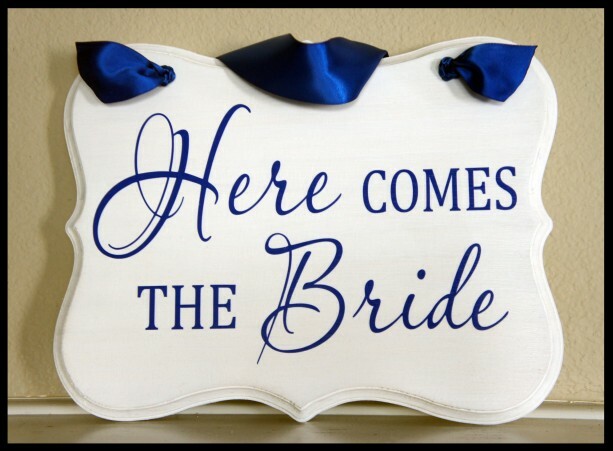 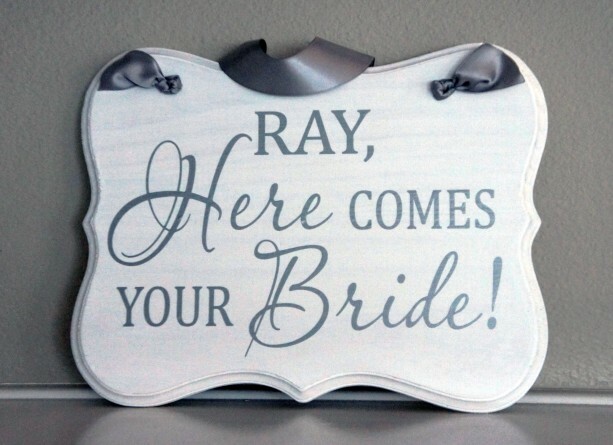 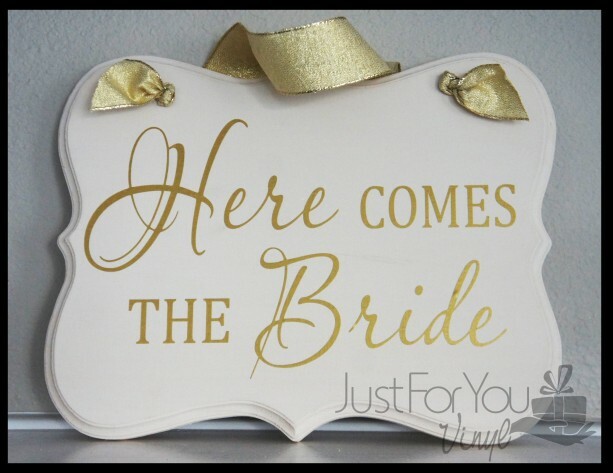 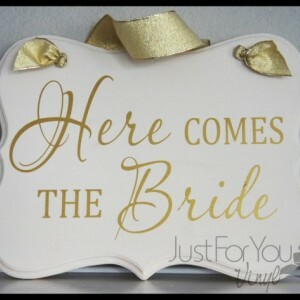 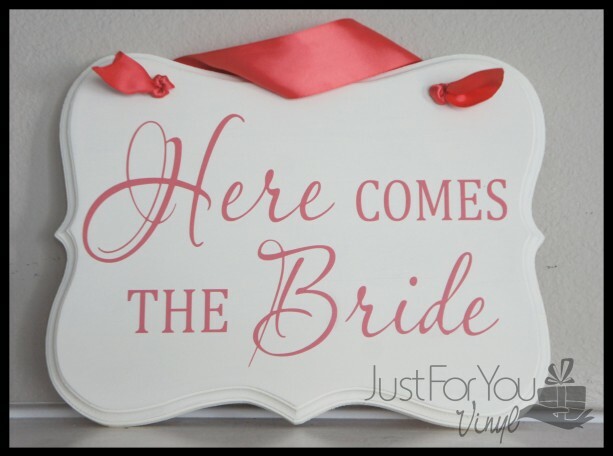 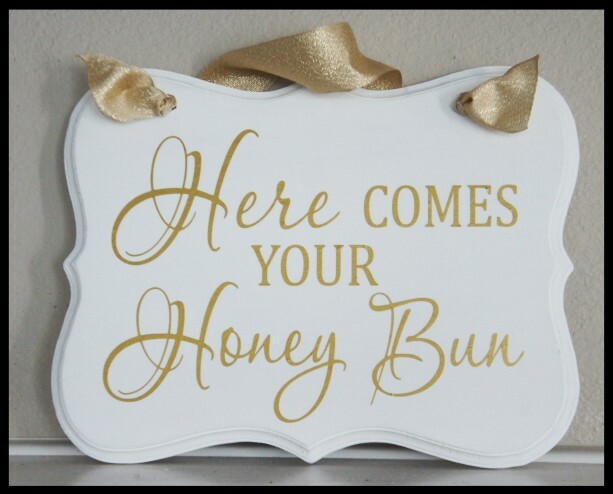 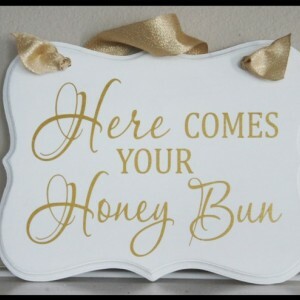 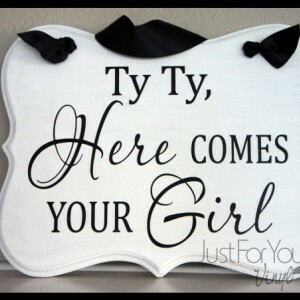 This 9"x11x.75" wedding sign is the perfect way to announce the bride. 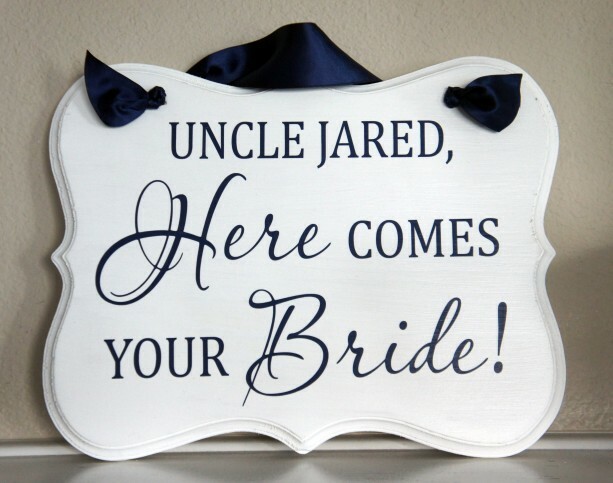 The sturdy wood sign is painted in the color of your choosing and then the words are applied with permanent vinyl. 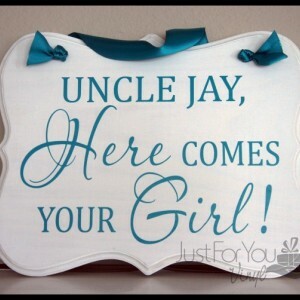 You can even customize the wording to say what YOU want it to say. 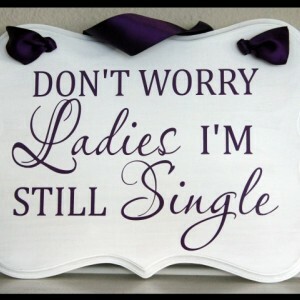 Simply leave those details in the NOTES when checking out. 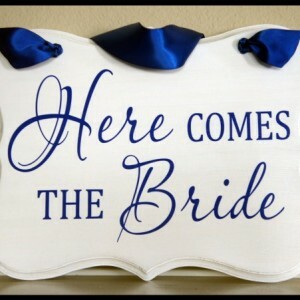 The sign is then sealed for durability and the ribbon is added to match the lettering. 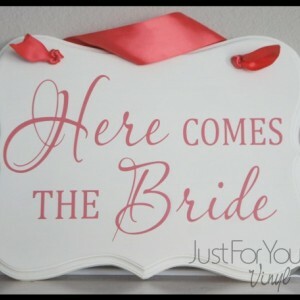 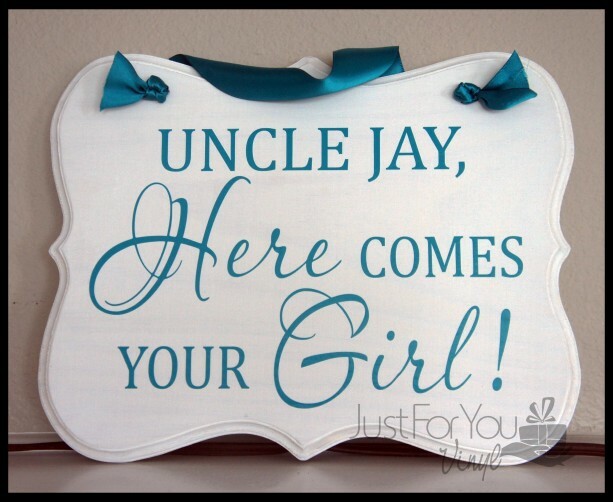 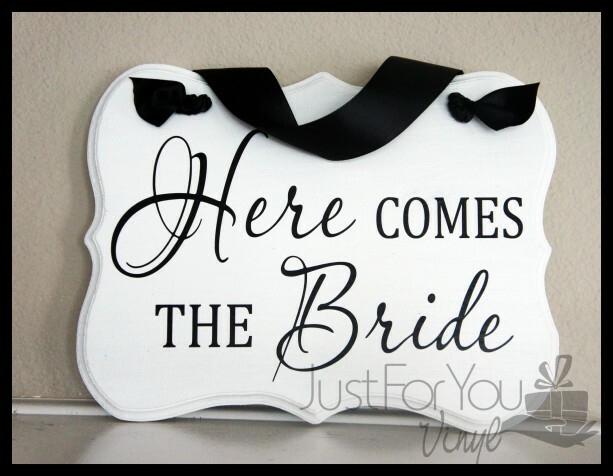 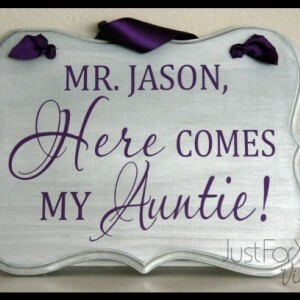 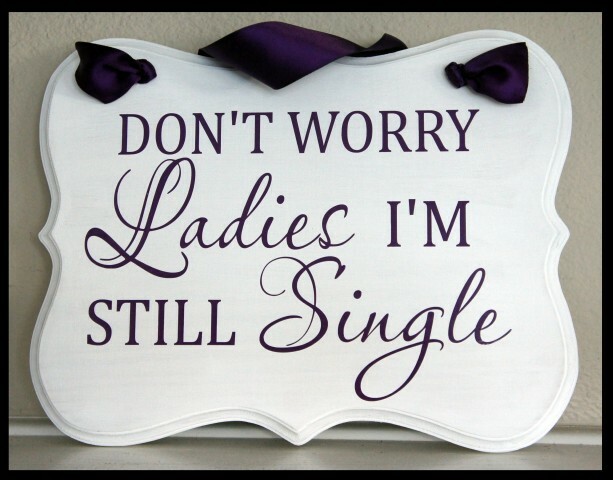 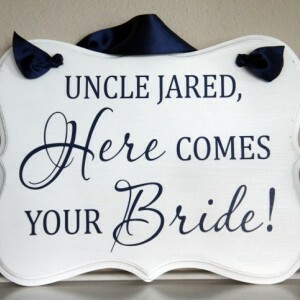 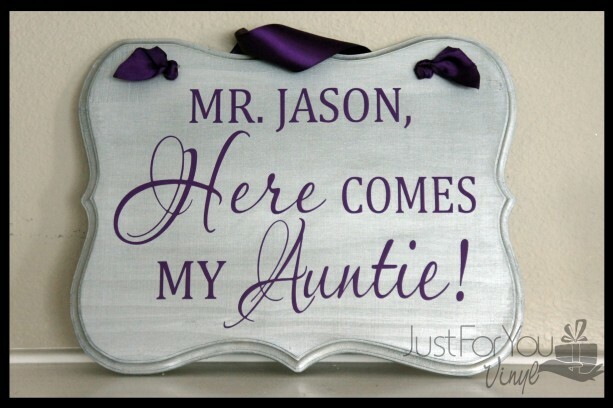 Great sign for the ring bearer or flower girl to carry down the aisle. 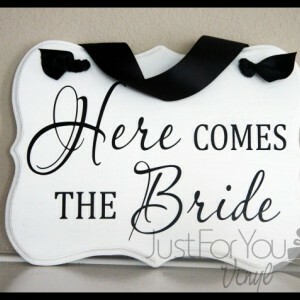 It is the perfect accent to your wedding day.